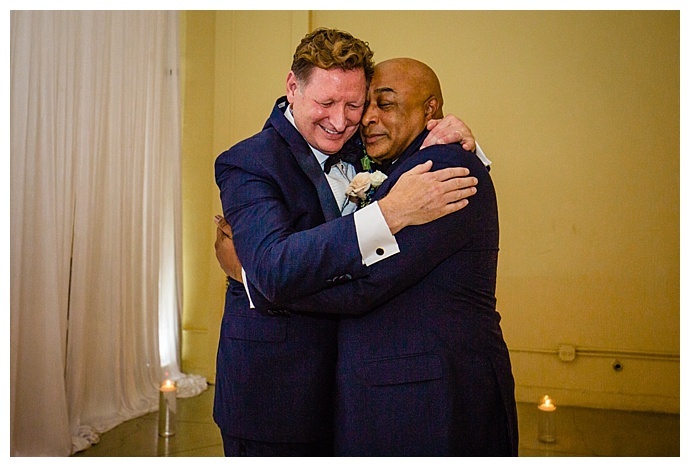 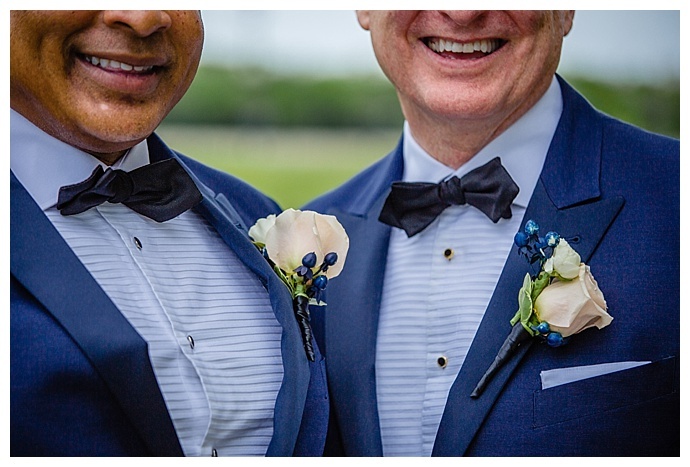 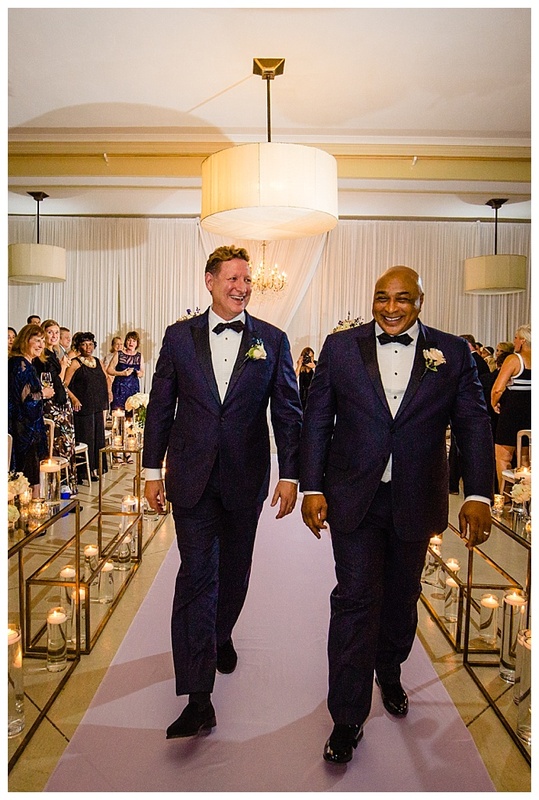 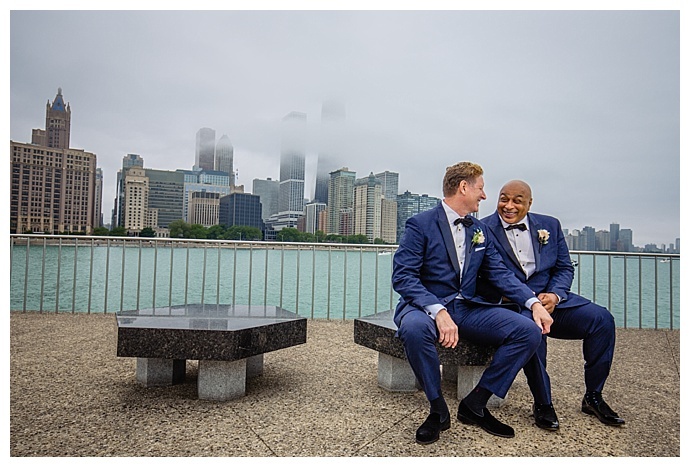 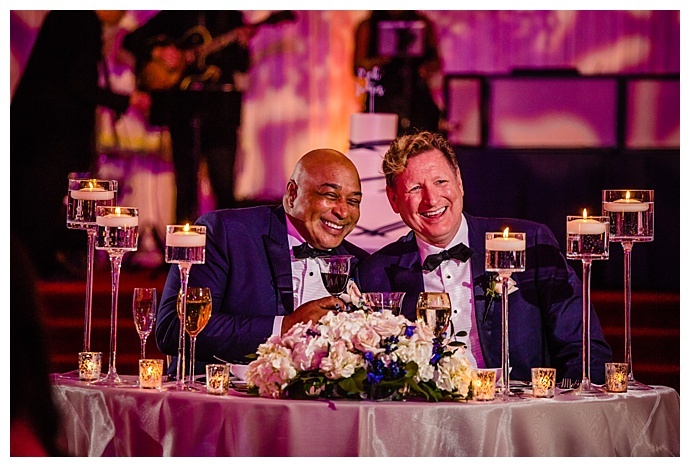 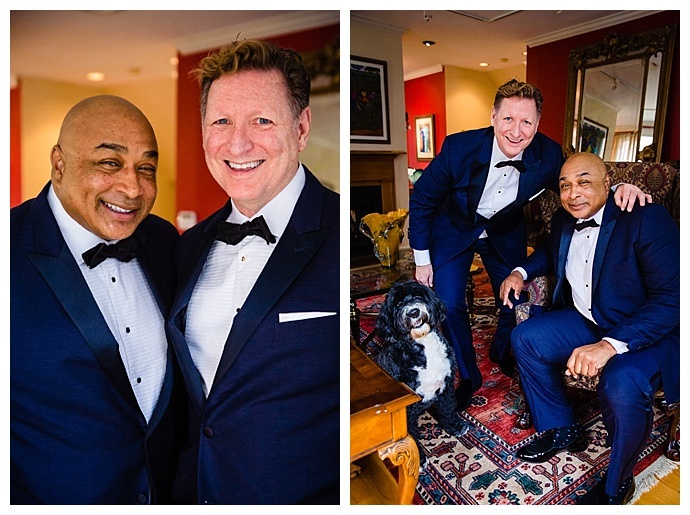 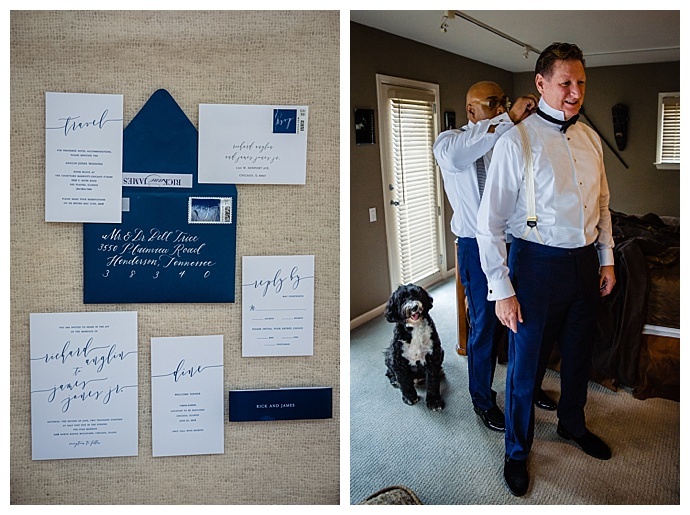 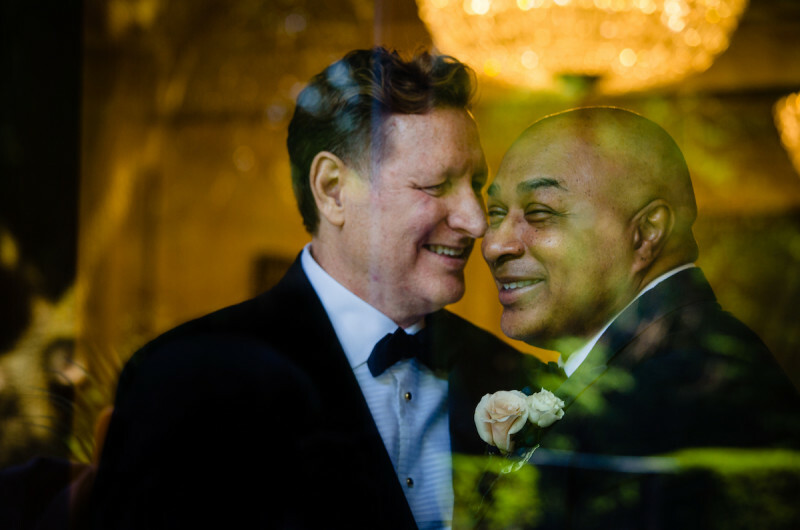 After more than 20 years together, nearly half of which were spent long-distance, Rick and James finally stood before their friends and family to say “I do.” The occasion was as grand as the love story it was for, filled with elegant details and palpable affection not just between the grooms but also their guests. 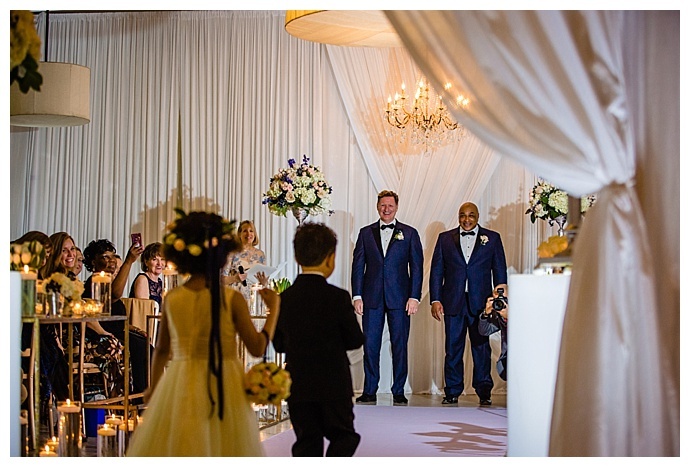 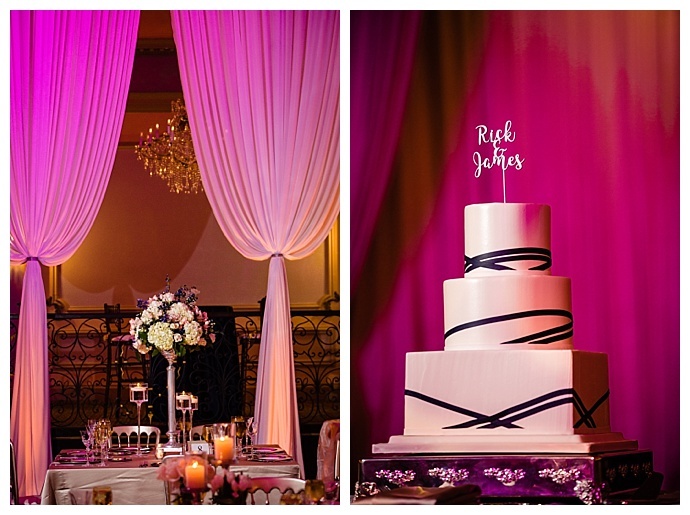 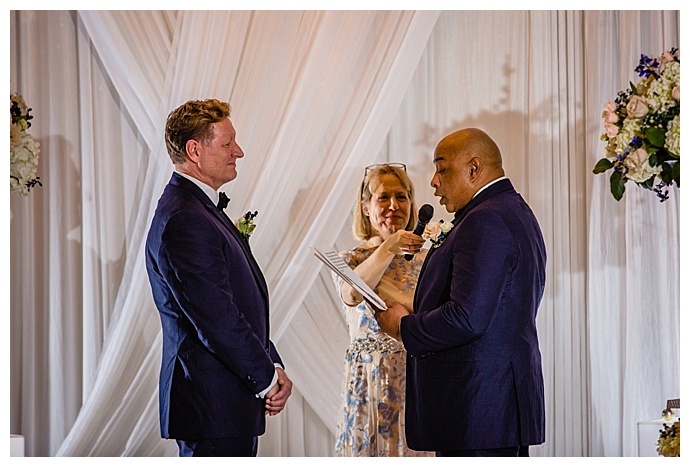 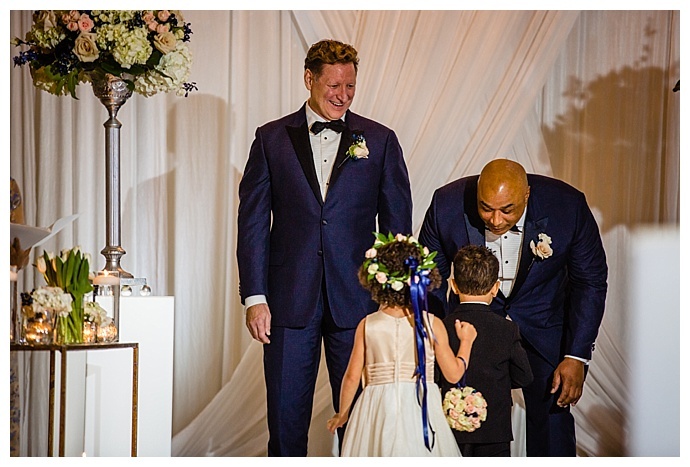 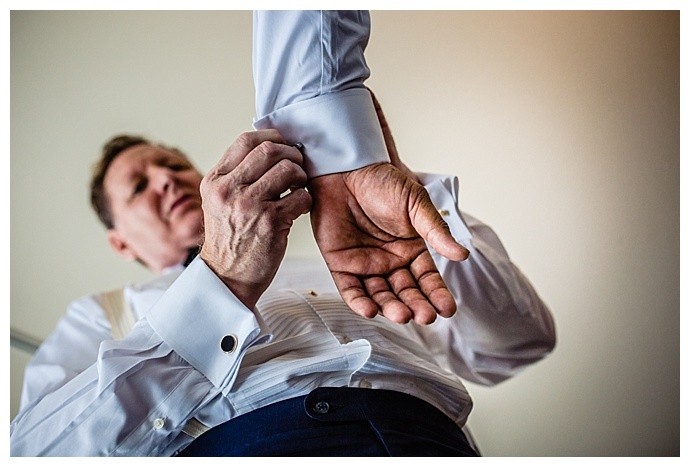 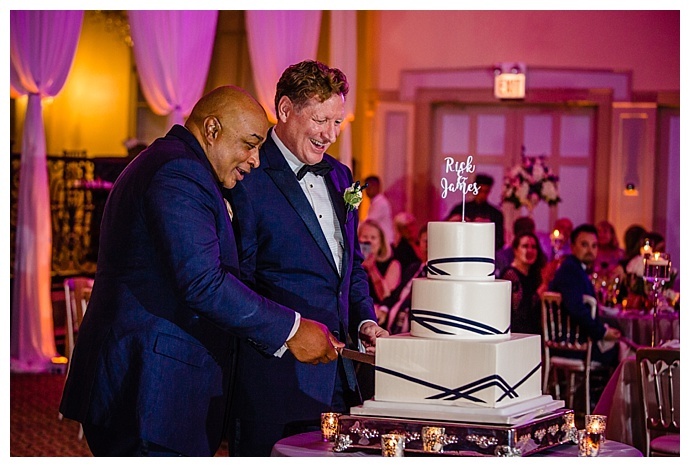 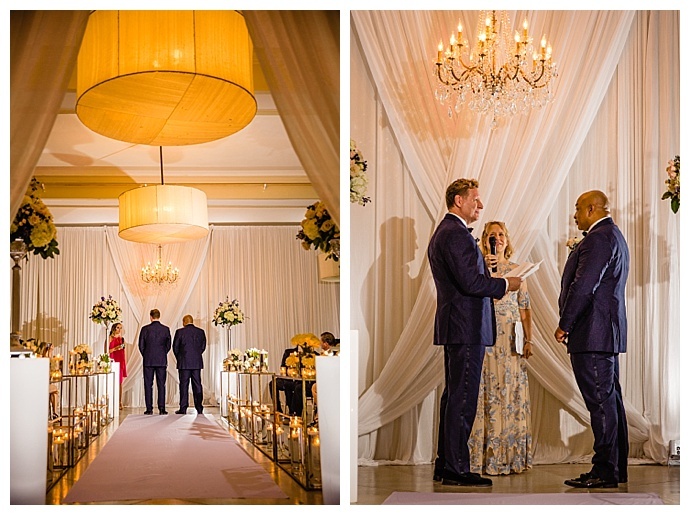 Behind the lens, Juanchos SC Photography captured the heartfelt moments as Rick and James exchanged vows as well as the gorgeous design elements, which were planned by P3 Events. 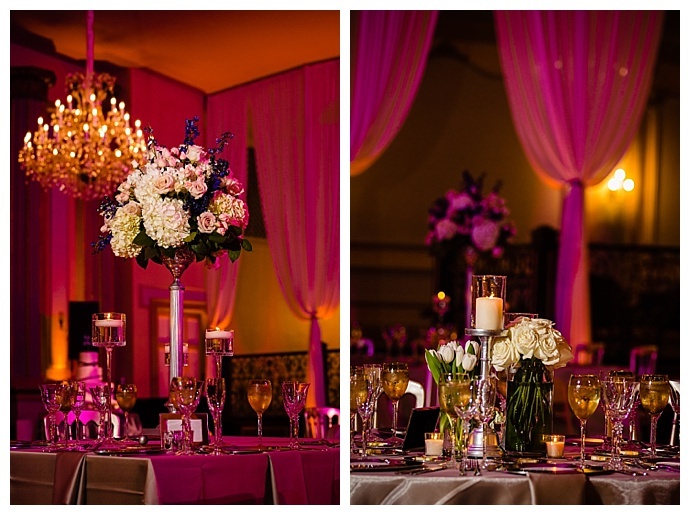 With navy and mauve details, this Chicago wedding at the Stan Mansion was certainly worth the wait! 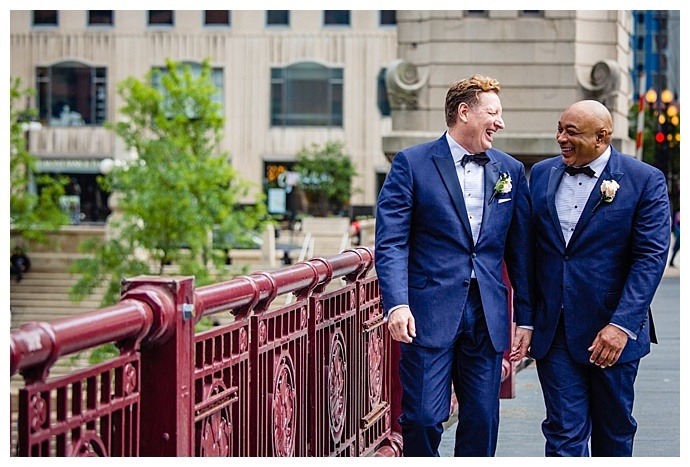 Twenty one years ago, Rick and James met in Nashville while Rick was in town for work. 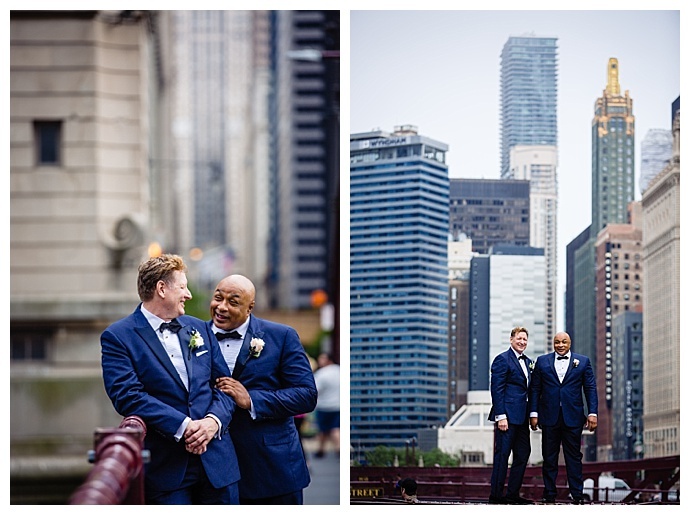 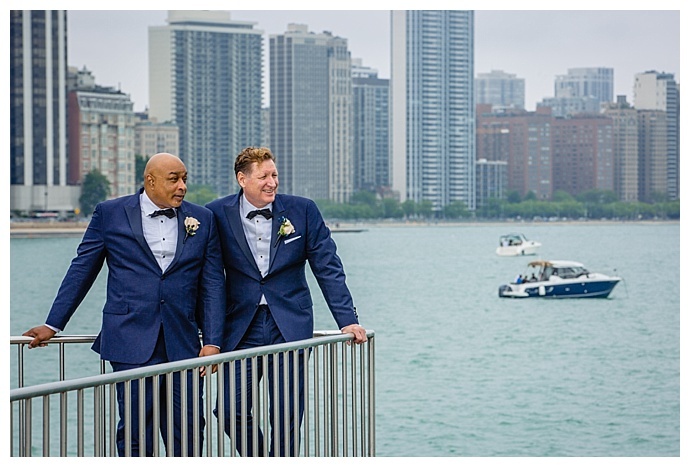 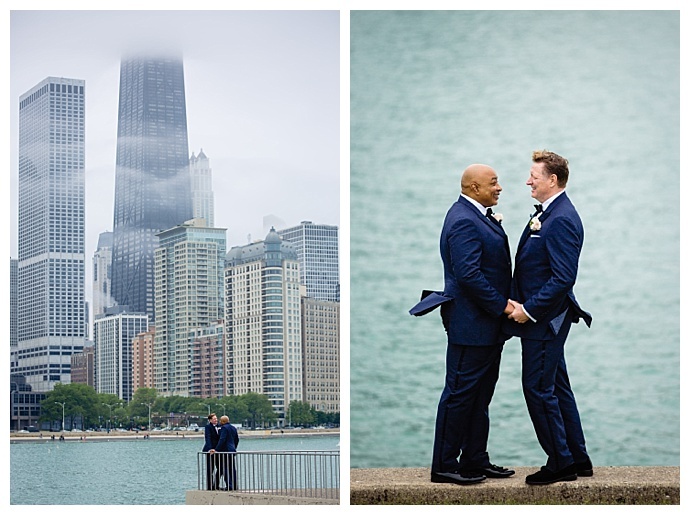 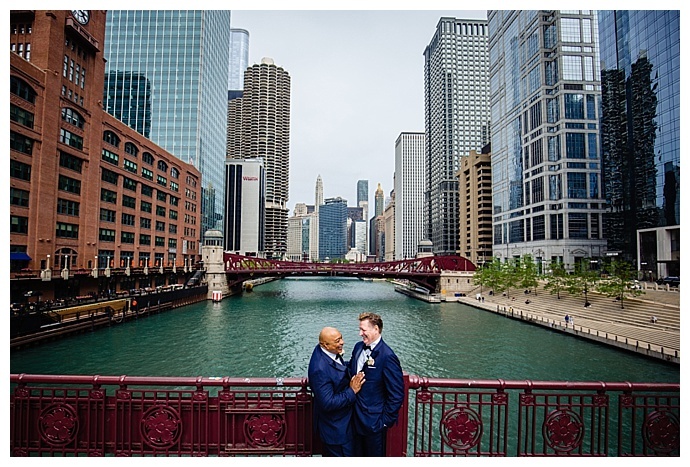 For the next 11 years, Rick and James braved the distance between Nashville and Chicago and visited each other as often as they could, until James finally took the plunge and joined Rick in Chicago. 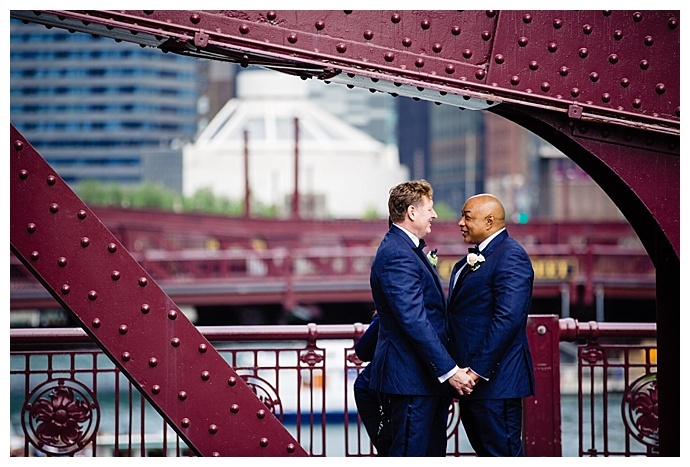 But it wasn’t until eight years later on their 20th anniversary that Rick got down on one knee to officially ask James to spend the rest of their lives together, to which he, of course, said yes. 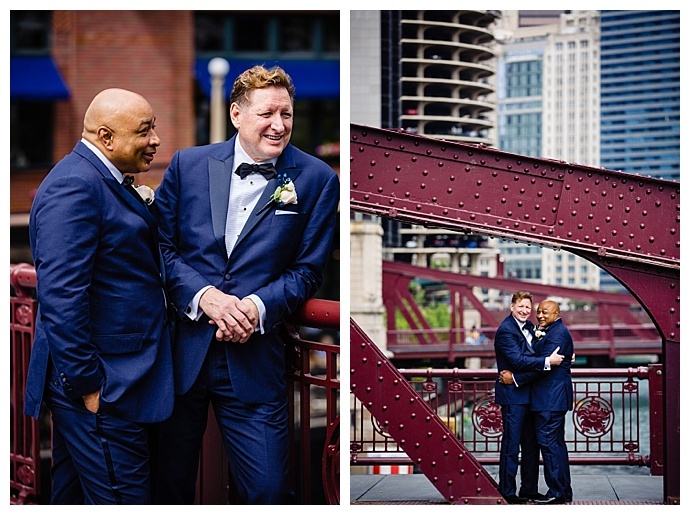 Rick and James imagined an intimate wedding with 50 of their closest friends and family members, and when they first laid eyes on the Stan Mansion in Chicago, they knew it was the perfect place to say “I do.” In a room romantically lit with candles and lined with elegant floral arrangements, one of their closest friends led the ceremony during which a harpist, violinist and vocalist played some of their songs before they exchanged vows they had written themselves. 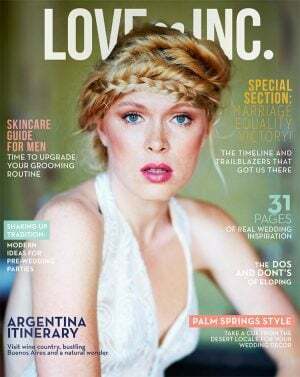 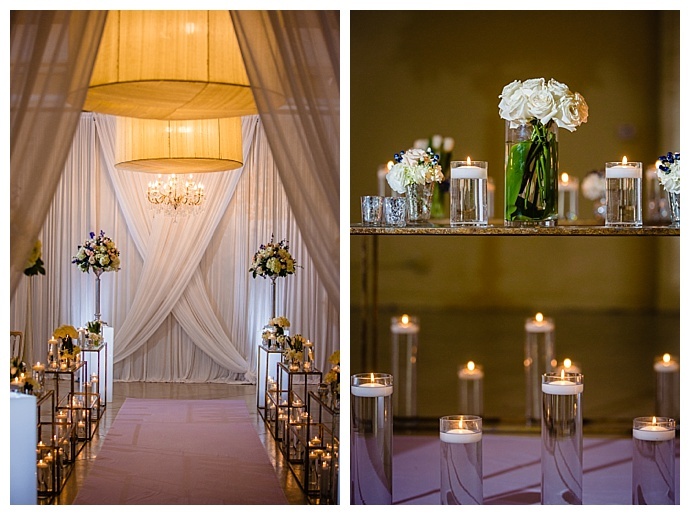 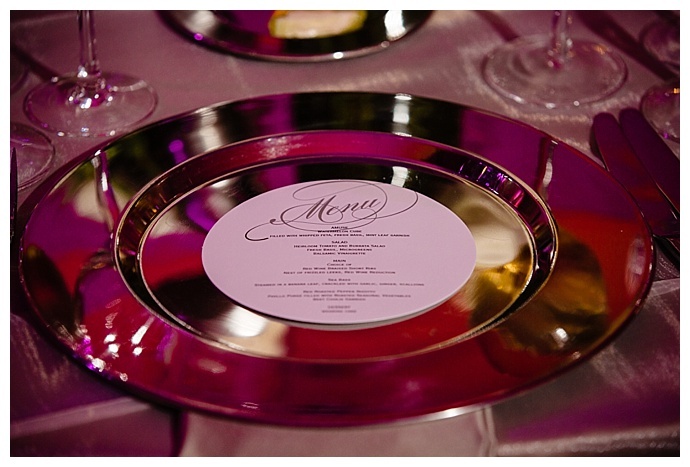 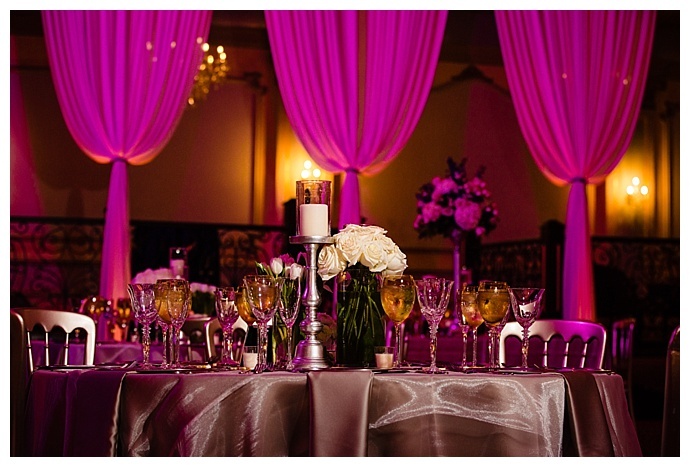 The grooms enlisted the help of Lindsay from P3 Events, who executed their vision beautifully. 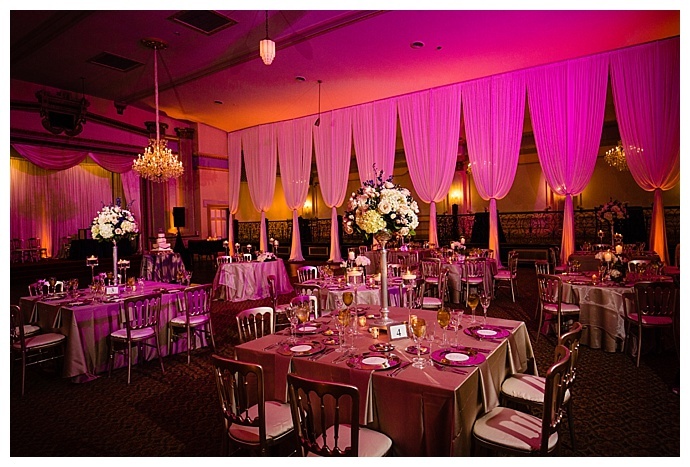 The Stan Mansion was transformed into an elegant space with tall floral arrangements, floating candles and draped cream-colored panels that hung from the ceiling. 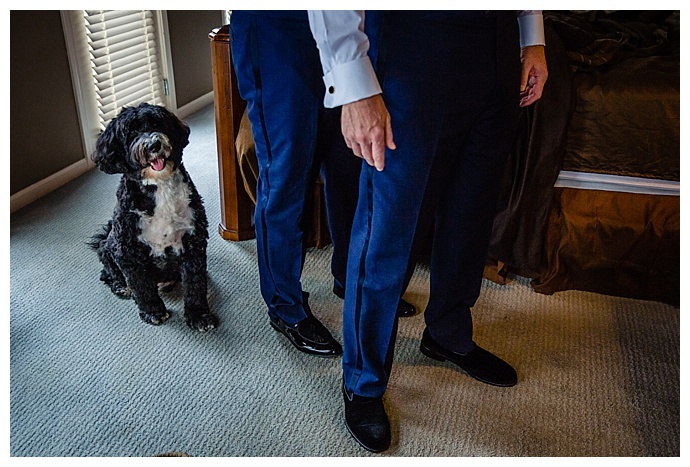 After a delicious seated dinner, the grooms had a treat in store for their guests. 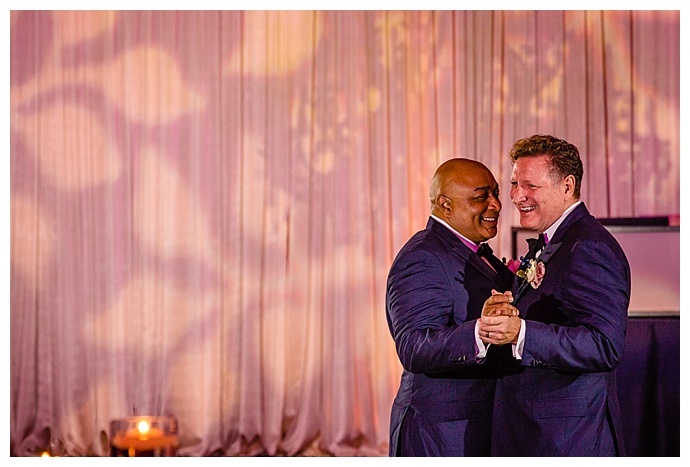 They hit the dance floor to share their first dance to “What a Wonderful World” by Louis Armstrong and then tossed off their jackets as Bruno Mars’ upbeat “Uptown Funk” streamed through the speakers. 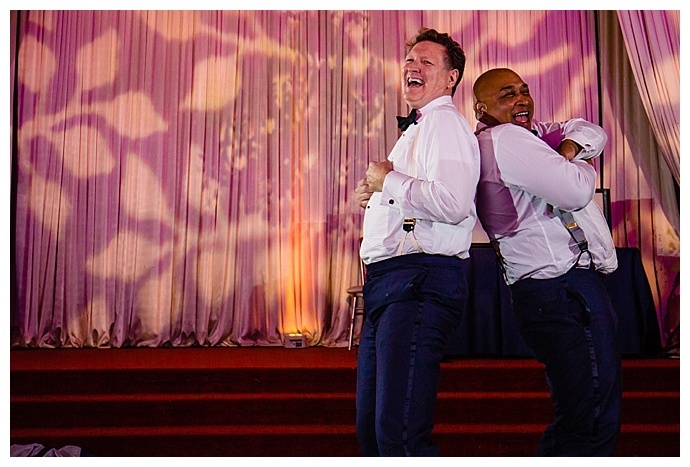 Rick and James did an epic choreographed number to the song, which they enjoyed just as much as their guests!